Charlotte Mason, an innovative British educator who lived at the turn of the century, was educated primarily at home by her parents. Many homeschoolers have adopted her methodologies, finding them to coincide with the natural way children grow and learn. 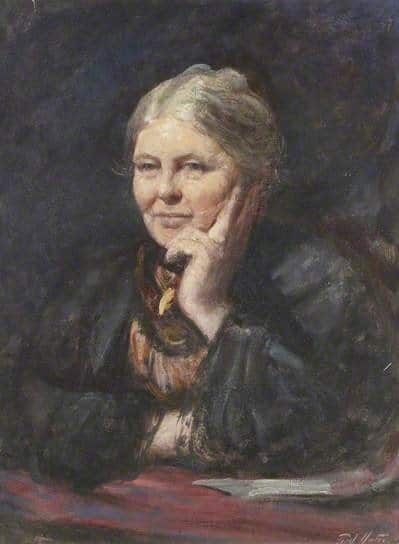 Although Charlotte Mason was a Christian, she believed that her principles and methods could be emulated successfully by secular parents as well. Ms. Mason believed, first and foremost, that there is no higher calling than the God-given responsibility to raise children. She believed not that children were created as ‘blank slates,’ but instead, they were little people created in the image of God and worthy of respect. only for the purpose of being a blessing to us, as parents, but also to society as a whole. Parents are to model and teach a love, respect for and trust in God. Children have an innate, God-given sense of right and wrong. We strengthen that when we hold children to high standards of behavior, rather than indulging them and laughing at their misbehaviors when they are small. We are to teach them that right behavior is expected, because it is right, not merely to fulfill our personal parental preferences. It is our responsibility as parents to model and teach our children habits of self-discipline, self-control, and self-motivation. These are to be instilled so thoroughly that children automatically and habitually obey correctly, rather than constantly be faced with the decision to choose the right course of action or one less admirable. The most important habits to cultivate early are moral habits (doing what is right) and the habit of focused attention, both which will prepare children for educational training later. Children, especially before the age of six, are to spend as much time as possible outside learning to enjoy, appreciate, observe and describe nature. Children should learn as many subjects as possible using whole, living books. Living books are engaging books written by those who have a passion for a subject, rather than poorly-written, ‘dumbed-down’ versions. Lessons should be short in duration and vary in location. Lessons are enhanced by being outdoors when possible, especially for younger children. History is best studied using whole books to read biographies and literature about people and events, rather than just by memorizing dry facts and dates. Grammar and composition are best learned by children when they are old enough to grasp these abstract ideas, (third/fourth grade*) and best taught by continued narration, dictation and copywork. *Although in our Daily Lesson Plans we do introduce end punctuation and other grammar and composition concepts, it is just that – an introduction. We leave it up to parents to decide when their children are ready for mastery, or whether they would like to make the introduction at all. Composition before this time should be primarily in the form of oral narration and is best incorporated into the studies of history, geography and science. Narration over reading is an optimal way to train children’s minds to recall details, organize thoughts, increase memory function and aid in developing competent communication skills. Fine arts should be an integral part of children’s curriculum: Art, music, literature, and architecture produced within an historical period are best studied within the context of that period. Science is best studied using whole books as well as what is directly experienced in nature, using field guides to help children to observe, sketch, identify and record in their nature notebooks what they encounter. If you are interested in reading the series, it is currently available at Amazon.com. The primary source for this article was Leslie Lario’s Charlotte Mason Summaries. Other than Miss Mason’s own words, these are my favorite books about her teaching philosophy and methodology.